Executing a contest on the Pinterest social platform can have lots of benefits in terms of brand marketing, engagement and sometimes even a direct increase in sales. Creating engaging contests on Pinterest is an amazing way to reach your target audience. Contests create the interactions and referrals about your brand and this might result in increased brand sales. Since Pinterest changed it’s rules recently, you need to be careful about how you design and promote your contests to reach more audiences and grow your business. Here I am listing few tips on how to conduct successful Pinterest contest. Create your Pinterest contests as easy to enter, so this will bring more audiences to enter. Create the Pinterest sweepstakes which requires an email to take part of it. You can make it very simple as asking for the comment on that Pin. A compelling benefit of your contest to gain more emails for the future follow-ups and CRM leads. Participants may pin the images for your business site. Pin stuff which they have made by using any of your products. Pin images of their favorite products produced by your brand. More number of people who enter, more your contest pin will be pinned and be sure that make your contest simple and you can get more success. 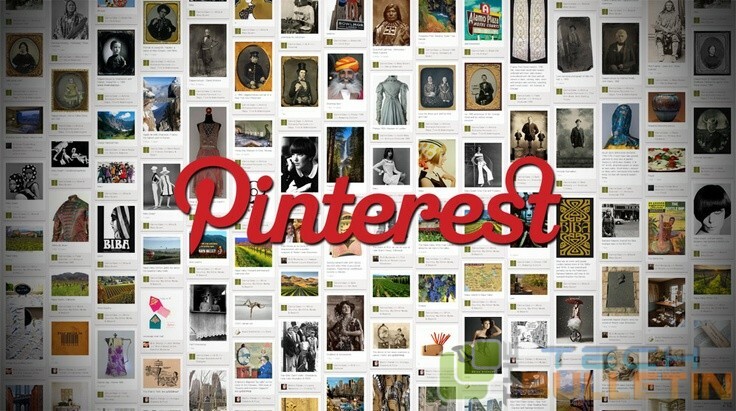 Pinterests boards are very visual and so keep your contest pins on the Pinterest platform visual. You can take example of Sephora and check how it made successful visual Pinterest contest pins. Using the seasonal colors and showing the samples of their Sephora, Spring collection with visual appeal. They are also very acute in both creating the engagement and promotion of their latest products. Important thing is you need to keep your target audience in mind when you are creating the prize for your contest. If this is more appealing to your customer, then more number of entrants you will get. You can offer a gift card, guest blog post or also an experience of yours. If your pize reaches your target audience referral burst. Hair stylists can offer free hair-cuts or some make over packages. Restaurants can giveaway free dinner for couple. Online stores can offer merchandise or discounts. You can even collaborate with the businesses in the niche areas which compliment yours and offer the joint prizes. For example, sanitary fittings firm could collaborate with the young and the upcoming interior designers and can giveaway the prize like $100 gift certificate. B2B companies which are offering the niche services could offer the free package. For example, email vision studio offered an email creative designed by them as an incentive for one of their Pinterest contests. According to the reports, 84% of the users time is spent on repining and so you can take advantage of this. In your contest, you can ask for the audience to repin to win it. So this can cater the needs of both the contest creators and audience. The contest prize you offered is appealing and then you can invoke the motivation in your contestants and request your dedicated followers to create their own pinterest boards to enter. In this case Carnival Crusie Lines is the best example and they were brilliant in their Pinterest contest interactions. They ask the entrants to make four boards with the pictures of their dream places in their “Creating a Winning Pin Board Contest”. This not only spread the brand name, through the friends on Pinterest, it also get the contestants active to think about their dream vacations and share with the friends. Mobile has now become the most common thing to quickly access the social media and so make sure that your Pinterest campaigns are mobile friendly. The better way to do this is using the third party contest app such as Wishpond. It not only make your social contests easy to set up for mobile but also offers simple way to use the analytics and exportable CRM lists. When you create a contest on Pinterest, then don’t forget to promote your contest across all the social media platforms where you are present. Post it on your Facebook page, post it on stumble upon, tweet it through Twitter, make use of LinkedIn and post on your blog about it. Using the social contest apps from Wishpond, you can run the Pinterest contest through the Twitter, Facebook, blog, website and more. There are alternatives for Wishpond which you can use to create the fangate pages, post the entry pages and attractive share dialogue boxes too and this list includes apps such as promojam, Woobox etc., Apart from the usual promotions on the Facebook, LinkedIn and Twitter, you can also choose the free tools such as Viral content buzz to promote your contest. In the simple terms its is just like “you scratch my back, I scratch your tool” which allows the users to share each other’s content and earn the credits which in turn can be used to promote one’s own contest. In addition to this, you can also choose the free contest promotion directories which are dedicated your country, region and create the listings for your contest on those sites. Most of these directories are maintaining their Facebook pages as well, where they can share the information about the new contests with their fans daily. So, if you don’t want to spend big amount, then Pinterest is a platform which both the small and big businesses can use to create the successful contests.